Close your eyes and imagine you’re back at the original Moulin Rouge—seated at a cabaret table in the midst of vibrantly dressed can-can girls and all the Belle Epoque spectacle of Paris at the turn of the last century. 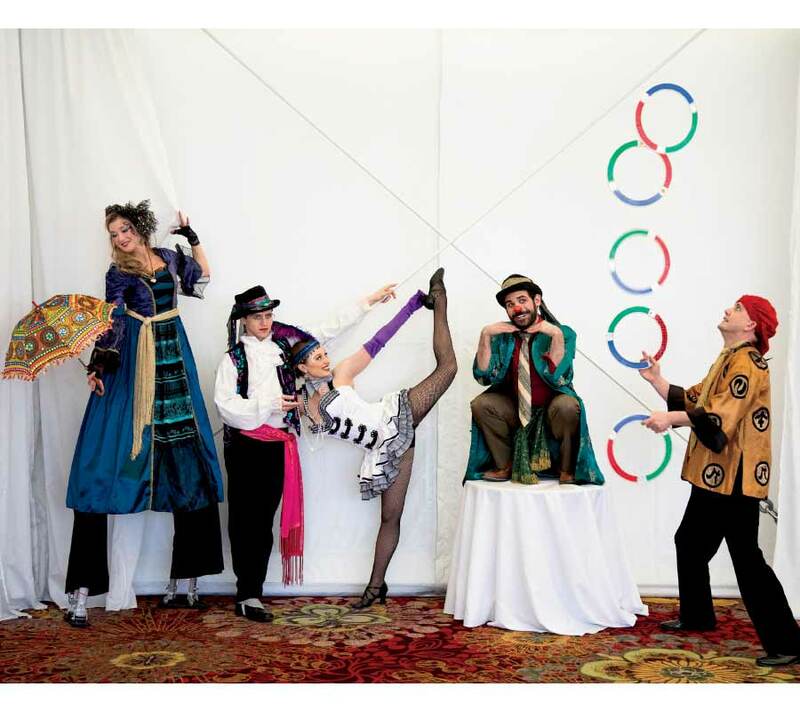 Add some circus-inspired (think jugglers, stilt walkers, contortionists, magicians … clowns) entertainment, a glamorous setting under a big white tent, and you’ll have a pretty good idea for what you will be stepping into on July 14 for Citadel Theatre’s 5th annual gala—Cirque de Citadel. Lake Forest designer Lori Lennon, who is leading the decoration committee for the fundraiser, says the concept was to bring a taste of the Moulin Rouge to the Marriott Resort in Lincolnshire, where the event will be hosted in the facility’s big white tent. “I want the venue to capture the spirit of the original Moulin Rouge—from the spectacle of the can-can dancer to flashes of vivid color to elegant extravagance,” she explains. Cirque de Citadel MC (and auctioneer) Bob Roig (shown right) gets into the act with guest performer Lorissa Julianus during a pre-event photo shoot under the big white tent at Marriott Resort in Lincolnshire. In what could be the nonprofit Equity theater company’s most ambitious gala project yet, entertainers will be brought in to mingle with the guests and keep them amazed—culminating in an over-the-top finale. Currently in its 16th year producing professional theater in Lake Forest for theater-goers across Lake County, the nonprofit performing arts organization also provides acting class scholarships to low-income students and conducts regular community outreach activities to bring live theater to those who would not normally have the experience. The gala, now in its fifth year, is the primary fundraiser for Citadel’s productions and its theater education classes and camps. Guests at Cirque de Citadel will thrill as circus entertainers perform feats of wonder and awe set amid a multi-colored, sparkling feast for the eyes. And there will be delicious, decadent hors d’oeuvres, dinner, and dessert with guests dancing the night away to the musical stylings of the popular Stanley Paul Orchestra. 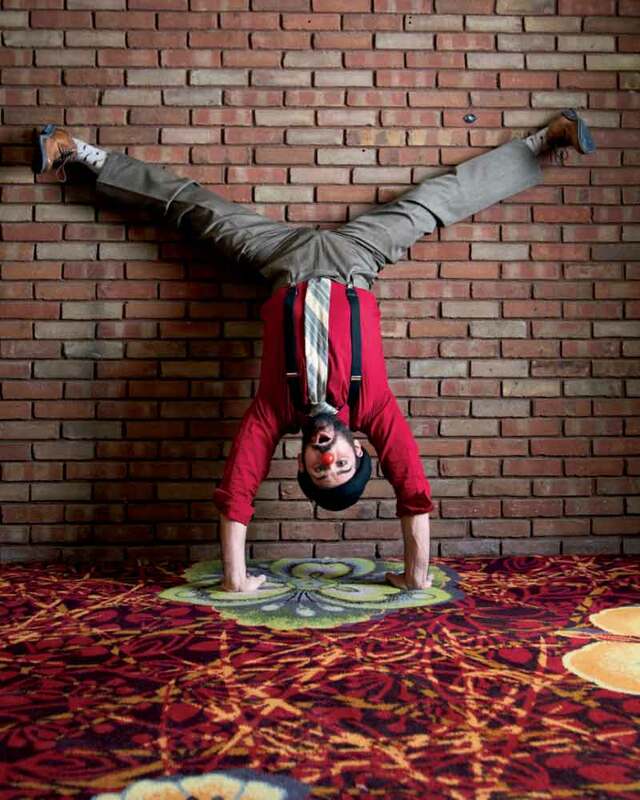 Local clown Dave Honigman shows off his handstand moves at the Marriott Resort. Proceeds from the annual gala comprise roughly 40 percent of Citadel’s operating budget and are what allow the nonprofit entity to do the outreach work in the community. 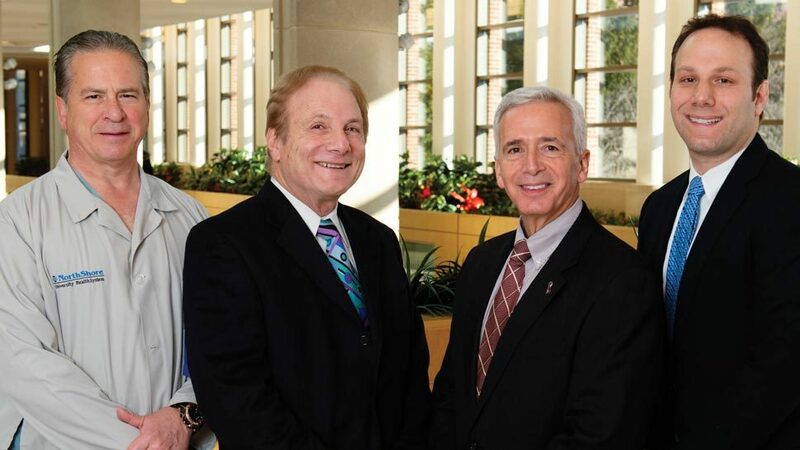 From free performances to community groups and individuals who could not otherwise afford, to attend to alliances with the USO of Illinois and other charitable organizations, Sherman emphasizes that Citadel does much more than put on shows in its Lake Forest theater. Phelps adds that the success of galas such as this one are what will allow Citadel to grow and expand programming. Dave Honigman clowns around with a fellow juggler, contortionist, and stilt walker. He will be one of many performers entertaining guests at Cirque de Citadel. As Cirque de Citadel prepares to present the event of the summer, Phelps and Sherman are looking ahead to the fall season. With two recent Joseph Jefferson Recommendations in hand, Citadel heads into fall with The Little Foxes, Joseph and the Amazing Technicolor Dreamcoat, and Sentimental Journey: A Musical WWII Love Story by Robby Lehman.